It is a magnificent gift from millions of years ago. Every year it is visited by over 5 million travellers who are all eager to experience the breathtaking South and North Rim. The Grand Canyon is 277 river-miles (446 km) long, approximately 18 miles (29 km) wide at the widest point, and a steep mile (1.6 km) deep. The best way to see it rim to rim is by taking a one-day bus excursion. There are so many exciting and memorable things to do there, for example, you can swim in the blue-green waters of Havasu Falls, go backpacking or day hiking, or go on a longer trip into the Grand Canyon’s back-country. You can raft from the top to the bottom of the Canyon river path, swoop over the Canyons on a Helicopter, or take a Sky Walk., trek down on a mule and camp over-night at the Canyon. Whatever you choose to do – it’ll be a life changing experience. One of the most personally rewarding ways to see the Grand Canyon is by hiking. However, getting down to the bottom of the canyon and then back up to the rim in one day is an extremely strenuous challenge. The floor of the Canyon valley is not accessible by car, so the only way down is by foot or on a mule, that’s why it is a very good idea to join an organized tour. Generally tours include high quality hiking equipment, meals/snacks, water replenishment, park fees and ground transportation, and hence are cost effective. A highly experienced, trained & certified guide accompanies every trek to guide the hikers and prepare meals. A perfect way of connecting with the Canyon and truly gain a better feel for the wonder of the place. Camping in the park on the South Rim is possible only in the established campsites. Campsite reservations fill up fast and it is advisable to book in advance. The more popular campgrounds are Desert View Campground, Mather Campground, and Trailer village in South Rim and the North Rim Campground. Most visitors land at Las Vegas and start their holiday to the Grand Canyon from there. They can take a one day guided van tour from Las Vegas. Alternatively, you can take a 2-3 day vacation staying at Williams or Flagstaff in Arizona. Some drive by the Hoover Dam across the Colorado River in their own car. Apart from the tough hikes Grand Canyon tours make perfect family adventure holidays. One day in the Canyon would be worth a hundred geography lessons! Spending time at The Grand Canyon with a travel guide will make your tour much more fulfilling. It’s all about being with experts who understand the value of your time. People who are committed to making sure your trip is exactly what you dreamed of. Most of all the guides care passionately about the special environment they work in, and they therefore ensure that it is respected by its visitors. The Grand Canyon is one of the grandest places on Earth and it offers us a sense of humility and a meaningful link with both nature and history. Future generations need to be able to form their own connections with Grand Canyon National Park. All the tours on our site are with responsible travel companies who care for the places they take you to and this is especially relevant. You will travel with confidence knowing that both you and the environment you go to see will be well looked after. 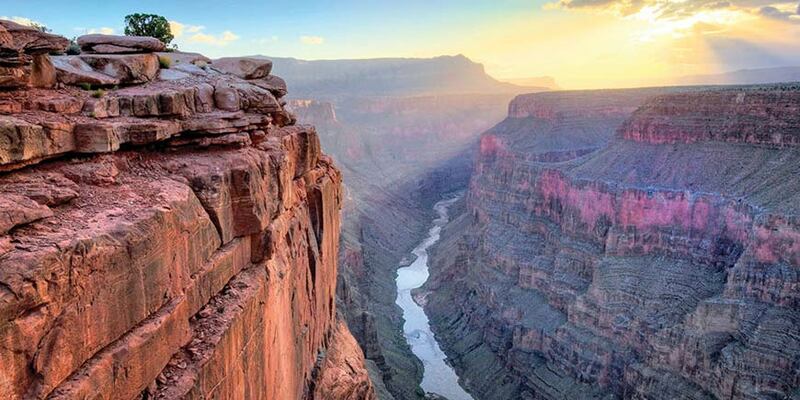 Think of an Adventure tour and you have it in these amazing tours to the Grand Canyon.